A stunning Pear cut Champagne hued Zircon gemstone takes centre stage in this modern design, surrounded by delicate Round Brilliant flush set Sapphires which complement this glorious design. 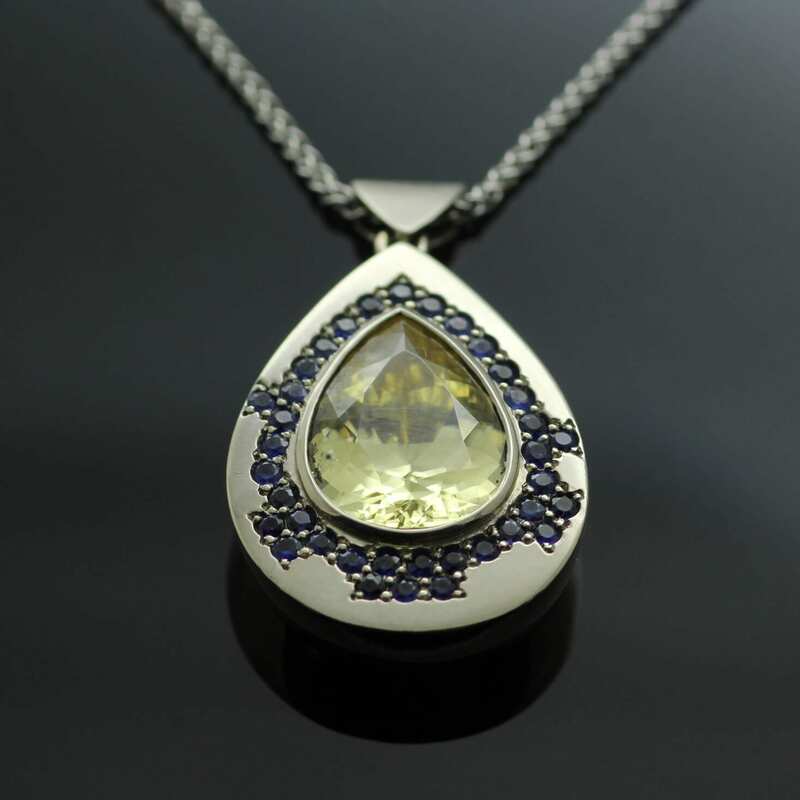 The pendant is designed around this beautiful Zircon with the overall shape and setting specifically created to enhance the natural beauty of the Pear cut stone. 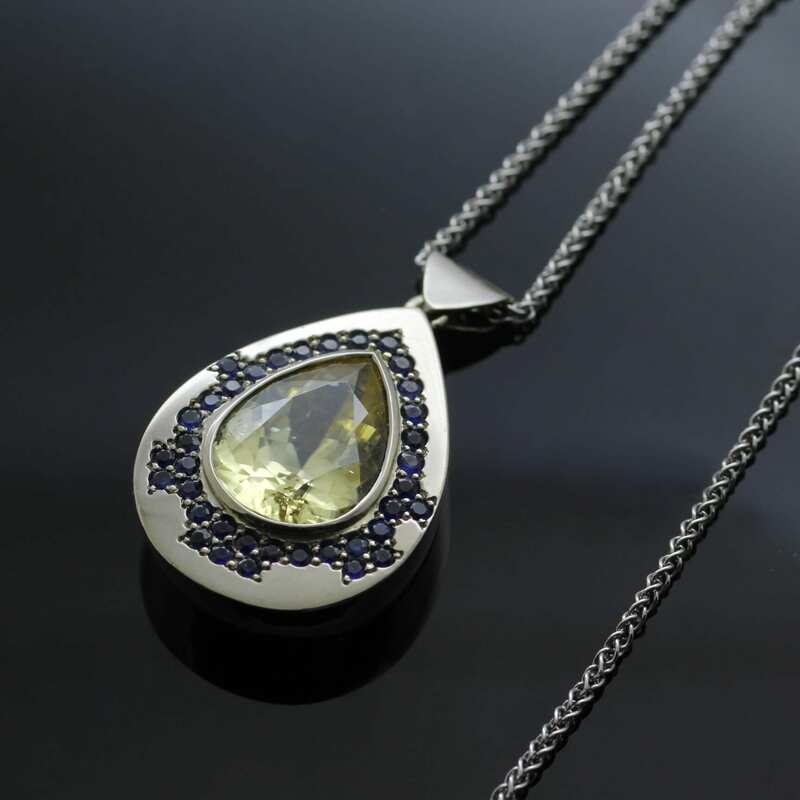 These exceptional and precious gemstones are then set in solid 18ct White Gold to create the droplet pendant shape, which is then strung on solid 18ct White Gold modern Spiga chain. 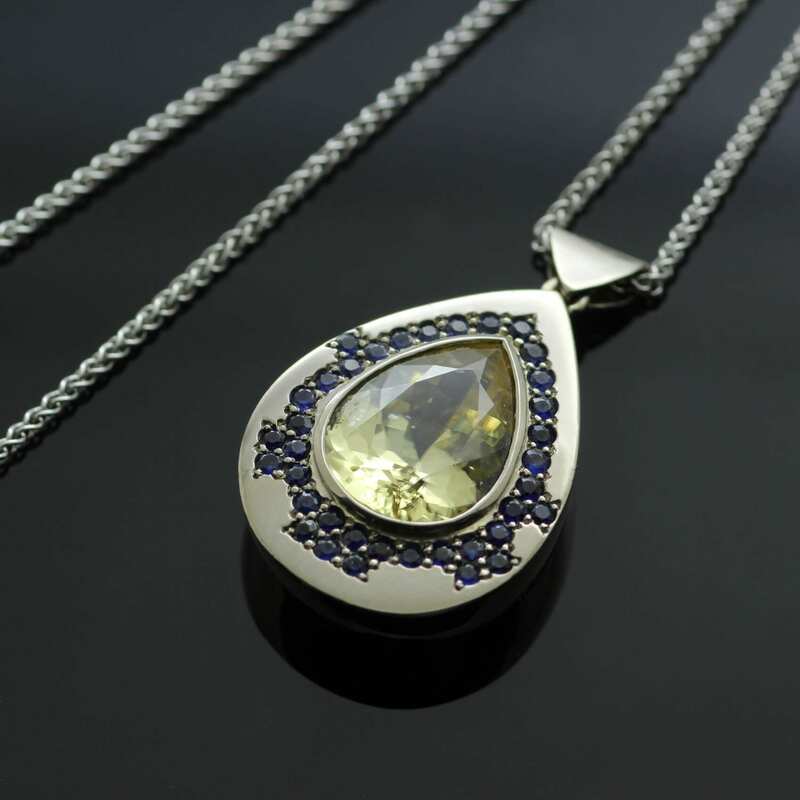 This elegant and modern necklace is finally hand finished with a high shine polish to the White Gold for a glossy and dazzling finish to the design.